The excitement surrounding Celebrity Edge has only continued to grow. 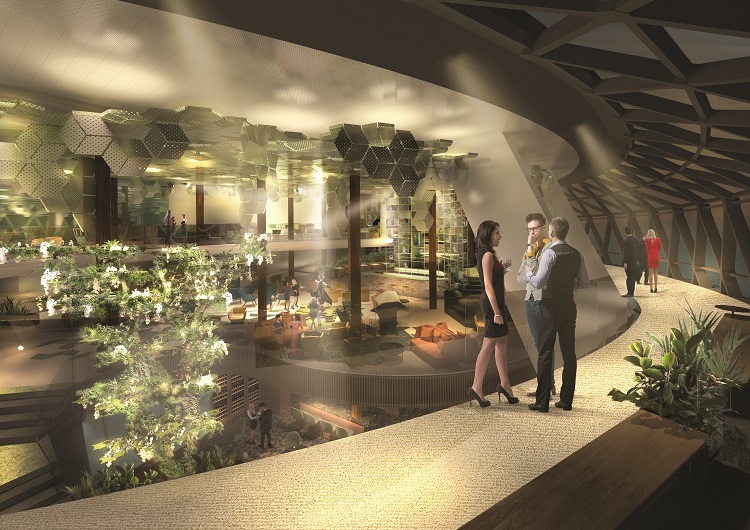 Teasing us with details about innovative new features like the sinful garden, Eden; and the revolutionary Magic Carpet dining and entertainment venue, Celebrity has created a buzz like never before. Add fantastically detailed ship images created using market-leading 3D technology, and you have a game-changing vessel that will captivate all who step on-board. Just last night, Celebrity Cruises made another announcement that had our Facebook and Twitter feeds exploding with anticipation. Celebrity Edge will be sailing the Mediterranean in 2019! These stunning sailings join Edge’s previously announced Caribbean cruises to paradise islands like Tortola and St Maarten. So, where can you sail in Europe? Celebrity Edge will sail to some of the most beautiful ports in the Mediterranean. Cruise to the Amalfi coast and stunning Greek Isles on a sun-soaked voyage taking in Catania, Santorini and Athens. Or, choose to explore the Iberian Peninsula on cruises to Bilbao, Lisbon and Gibraltar; destinations with an unforgettable mix of history, culture and natural beauty. And these are just two of the fantastic new itineraries on offer. The best news? You can book these Celebrity Edge cruises right now! Call our Cruise Concierge team on 0207 526 3035 to find your perfect voyage and book your spectacular holiday.